Arranged by John Leavitt. Sacred Christmas Choral. Traditional, Christmas. Octavo. 8 pages. 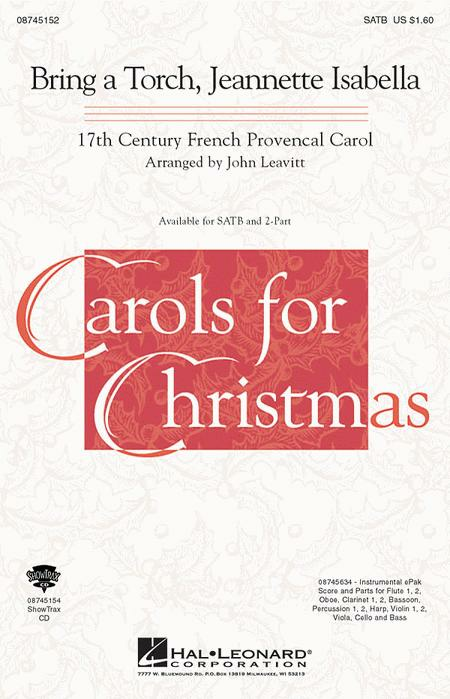 Published by Hal Leonard (HL.8745152). This sparkling gem from the pen of John Leavitt makes a marvelous addition to the Christmas season. 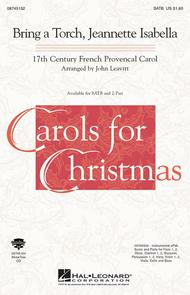 Accompany with keyboard or with the delightful chamber orchestration.Available separately: SATB and 2-Part. Instrumental ePak includes Score and Parts for Flute 1, 2, Oboe, Clarinet 1, 2, Bassoon, Percussion 1, 2, Harp, Violin 1, 2, Viola, Cello and Bass. ShowTrax CD also available. Performance Time: Approx. 3:05.